Blackhead removal at any time can be a test of patience. 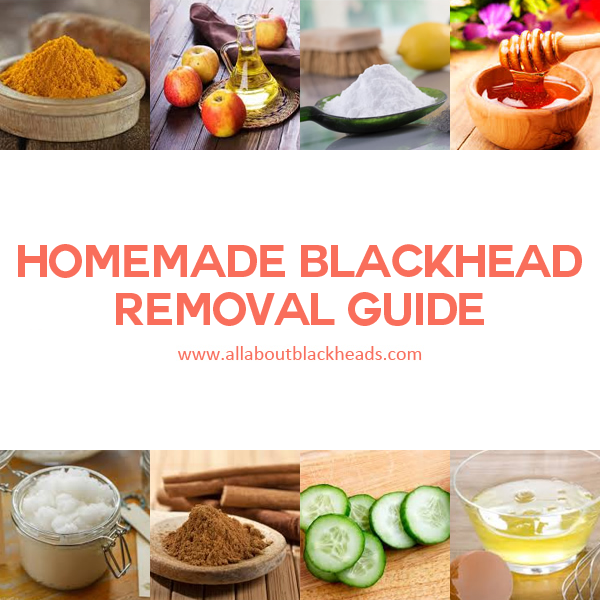 There are many prescription and over the counter methods of dealing with blackheads that can assist in the removal of blackheads. However, there are also some methods you can try from home that may work just as well at removing those sometimes difficult to remove blemishes. There are a variety of different methods you can try. It really comes down to what works best for your skin, as well as the reasons behind your blackheads. Antiseptic treatments are the most basic treatments you can try. They help clean and tighten the pores. Typically, these would come in the form of astringents such as witch hazel or our favorite apple cider vinegar mint toner. The apple cider mint toner is a great one to try as the mint in it has a high content of salicylic acid in it, which treats the blackheads directly. You’d normally mix this up by adding 3 tablespoons each apple cider vinegar and mint to 8 ounces distilled water. Store it in a sterilized bottle (either boil it or run it once through a dishwasher) and keep it in the fridge for up to a week. You’d apply it at night, and then wash it off with a gentle cleanser in the morning. Another example would be a simple spot treatment that you might only use once or twice a week at most. Some use this on their entire face, but you may find it beneficial to treat your blackheads directly with a simple baking soda mask. Just mix a tablespoon of baking soda with an ounce of distilled water to make a paste. Apply it to the blackheads and let dry. You would let that sit for ten minutes before rinsing with warm water. If your blackheads are a bit more severe, or they are caused by acne then you may benefit from using antibacterial treatments. These won’t work for everyone, and they can be a bit strong. Test them on small areas first to be sure they’re not going to adversely affect your skin before you try it. The best one to try for this is cinnamon. It’s an antioxidant, and when mixed with honey makes for a great treatment. Honey is also an antibacterial, but also protects the skin. The formula is 1 part cinnamon to 2 parts honey. You would only need to mix just enough to cover the area that you’re treating, which is why the recipe is so vague. Apply it to your skin generously, and leave it for 15 minutes. You will need to wash it off with a mild cleanser to remove it. I recommend applying a lightweight, oil-free moisturizer to the area afterward. You can apply this treatment daily, but keep an eye on your skin. If it looks at all irritated, try doing it no more than once or twice a week. A milder treatment you can try would be to simply apply warm honey to your blackheads. Honey is an antibacterial all on its own, and is much gentler on the skin. If you’re at all sensitive to honey, don’t try it. So be sure to test it on your skin first just to be sure. You can warm honey either in the microwave for a few seconds, or boiling it in a glass bottle that’s been set in a pot. You would likely need 1 tablespoon at a time at most. Dab gently on each blackhead, and let sit for 10 minutes. Remove with a warm, damp washcloth. You can use this method daily. A lot of times blackheads are caused by an overproduction of oil. This is especially true of those going through puberty, and menstruating females. If this seems to be one of the contributing factors in your blackheads, using a treatment that deals with the excess oil might help you reduce them. There are several methods you can use to control oil, but these two are my favorites. The first seems a bit odd, but it works wonders. You need to cook steel cut oats in distilled water according to the directions. This is one that you wouldn’t just cover your blackheads, but the entire area you’re prone to getting them. Once you’ve cooked the oats, cool them to just warm (room temperature), and apply it to your skin. Leave it on for 10 minutes, and rinse with warm water. You can actually do this once a day. Another option for oil control is green tea. You would make green tea with 8 ounces of distilled water and 2 bags green tea. So long as you don’t plan on drinking any of it, you can steep it for about 10 minutes (it’ll be very bitter to the taste). Let it cool so it’s not too hit, and then gently apply it to your face with cotton pads, or cotton balls. Let it dry, and leave it it for 10 minutes. Rinse with cool water for this one. You can do this one once a day. If you’re just looking for methods to unclog pores, there’s two methods that I know of that don’t involve squeezing. The first is a natural alternative to alpha hydroxy acid, and the second is said to dissolve blackhead plugs. I’ll start with the simplest method. Apply lemon juice with a cotton pad to the blackheads directly, and let dry. You should only allow it to sit for 10 minutes before rinsing it off with cold water. A few conditions with this method. It has the potential to make your skin phototoxic, meaning contact with daylight can make your skin become irritated. So, use it only at night before bedtime. Some will say you can use it daily. I really wouldn’t use it more than 2 to three times a week at best just to be sure. I’ve said this before, but some people are naturally sensitive to lemon juice. So always test your skin before you use it. You will need to stop using this method should your skin become irritate after using this method. Some people have had better results from using pineapple juice instead (it’s the one I use actually). The last treatment is the best one, but it is for your most stubborn blackheads. It would work on deep blackheads, or even on broader areas that have multiple blackheads. First it’s important that you exfoliate the area that’s going to be treated. This tends to work best when there’s no excess dry skin hanging around. Using a gentle scrub product, a washcloth, or even a facial brush whichever is your preferred method. You would then mix 1 teaspoon Epsom salt, 4 drops iodine, and 1 cup hot water. Mix it up well until it’s completely dissolved. Let it cool until it’s just warm before you try applying it to your skin so you don’t burn yourself. Apply the mixture to your skin and gently massage it in. Let it sit on the skin just until its dry, and then rinse it off with warm water. You can do this once a day. If your skin becomes at all irritated, consider doing it only once a week as needed.